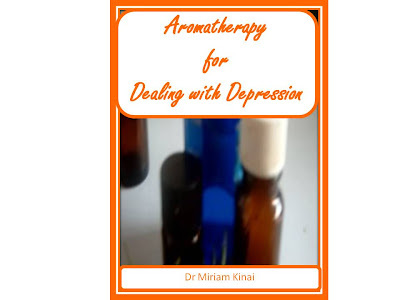 Aromatherapy for Dealing with Depression is an ebook which uses clear explanations and color pictures to teach you how to use essential oils for natural depression treatment since these aromatherapy oils offer an effective depression self help strategy for a person coping with depression. 1. Aromatherapy Bath. Create an invigorating bath by dispersing 12 drops of rosemary essential oil (or 2 drops of ylang ylang plus 4 drops of rosemary plus 6 drops of clary sage) in your warm bath water. Soaking in this aromatic cocoon can help a person coping with depression. 2. Bath Salts. Mix 2 cups of Epsom salts, 1 cup of sea salt and 1 cup of baking soda. Add 50 drops (2.5 ml or ½ teaspoons) of rosemary essential oil and a few drops of food coloring (optional) to create your own invigorating baths. Add one cup of this mixture to your warm bath water for a relaxing soak. 3. Body Massage Oil. 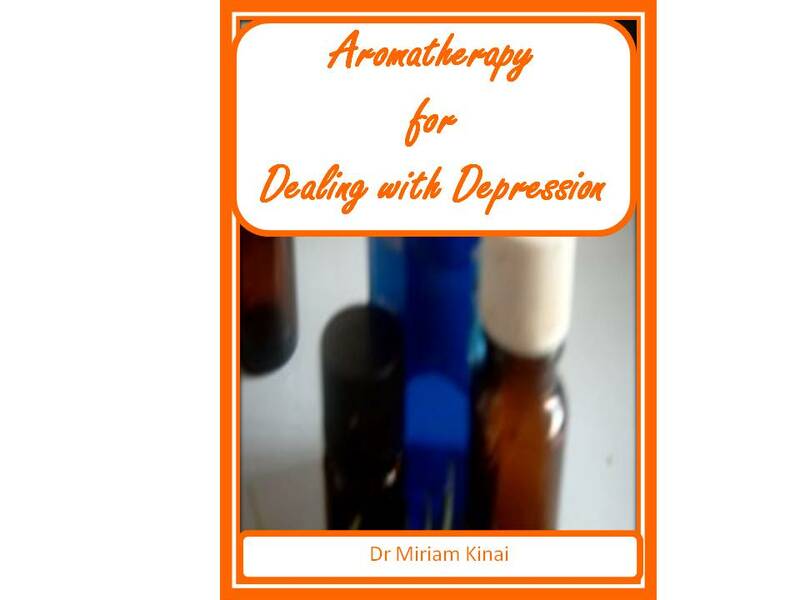 Add 50 drops (2.5 ml or ½ teaspoons) of rosemary essential oil (or 10 drops of ylang ylang plus 16 drops of rosemary plus 24 drops of clary sage) to one cup (8oz or 250 ml) of sweet almond oil or sunflower oil or any other carrier oil of your choice to create a refreshing body massage oil. 4. Bath Gel. Add 50 drops (2.5 ml or ½ teaspoons) of rosemary essential oil (or 10 drops of ylang ylang plus 16 drops of rosemary plus 24 drops of clary sage) to one cup (8 oz or 250 ml) of unscented bath gel or liquid soap to create a refreshing bath gel for bathing or showering. 5. Aloe Vera Aromatherapy Gel. Add 50 drops of rosemary essential oils (or 10 drops of ylang ylang plus 16 drops of rosemary plus 24 drops of clary sage) to one cup (8 oz or 250 ml) of natural aloe vera gel to create a non-greasy, healing moisturizer.